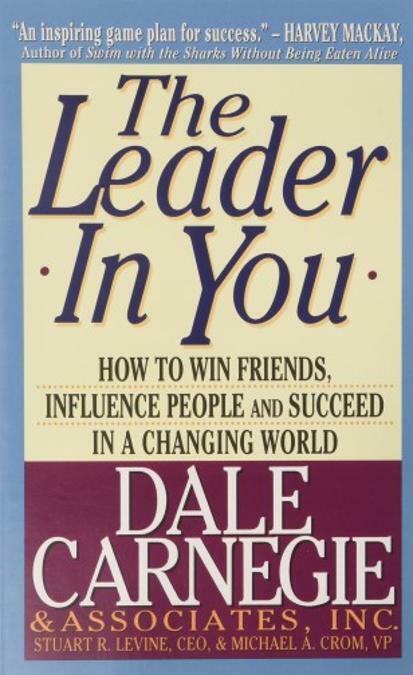 "For nearly a century, the words and works of Dale Carnegie & Associates, Inc., have translated into proven success—a claim verified by millions of satisfied graduates; a perpetual 3,000-plus enrollment roster per week; and book sales, including the mega-bestseller How to Win Friends and Influence People, totaling over thirty million copies. Now, in The Leader In You, coauthors Stuart R. Levine and Michael A. Crom apply the famed organization’s time-tested human relations principles to demonstrate how anyone, regardless of his or her job, can harness creativity and enthusiasm to work more productively. With insights from leading figures in the corporate, entertainment, sports, academic, and political arenas—and encompassing interviews and advice from such eminent authorities as Lee Iacocca and Margaret Thatcher—this comprehensive, step-by-step guide includes strategies to help you: identify your leadership strengths; achieve your goals and increase your self-confidence; eliminate an “us vs. them” mentality; become a team player and strengthen cooperation among associates; balance work and leisure; control your worries and energize your life; and much more! The most important investment you will ever make is in yourself—once you discover the key that unlocks The Leader In You. 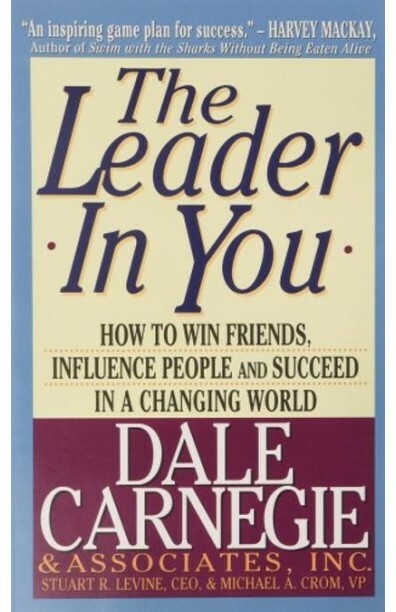 About the Author Dale Carnegie (1888-1955) described himself as a ""simple country boy"" from Missouri but was also a pioneer of the self-improvement genre. Since the 1936 publication of his first book, How to Win Friends and Influence People, he has touched millions of readers and his classic works continue to impact lives to this day. "